Soy is a subject that I have been wanting to blog about for a while, but needed the time to read and research and compose this post. Soy products are becoming more and more prevalent in today’s supermarkets. Soy milk lattes at Starbucks are considered a “fashionable” choice. Soy formula is consumed by 25% of US babies. No question, the popularity of soy foods is increasing. According to data from Spence Information Services, a San Francisco sales tracking firm, in 1998, sales of soymilk grew 53 percent in mainstream supermarkets and 24 percent in health food stores over the previous year. HealthFocus, another research firm, reports that 10 percent of shoppers in 1998, versus 3 percent in 1996, said they are eating more soy specifically because they believe it will reduce their risk of disease. And according to a 1999 survey by the United Soybean Board, two-thirds of consumers surveyed believe soy products are “healthy,” up from 59 percent in 1997. And yet, there are many questions about the actual health benefits of soy, and valid concerns about potential health risks of soy. I think there are two things to consider when determining the safety of soy ~ first, there are components of soy that are potentially dangerous. Additionally, when deciding about soy in your diet, you need to be aware that over 90% of the soy grown in this country is genetically modified (GM). Lets look at each of these separately. Soy naturally contains plant estrogens and antinutrients. Some studies in animals have shown that plant estrogen can alter sexual development. Estrogen has also been linked to breast cancer. Drinking two glasses of soy milk a day over a one month period has been shown to change the timing of a woman’s menstrual cycle. And while all of these are causes for concern, the greatest is what impact the estrogen can have on developing babies on a soy formula diet. It is estimated that a baby on a soy formula diet is ingesting the estrogen equivalent (based on body weight) of five birth control pills a day. These high concentrations of estrogen can impact hormonal development, reproductive systems and thyroids. Soy formula also contains high amounts of manganese, which has been linked to ADHD. In Israel the Health Ministry advises against feeding infants soy formula. Soy also contains the antinutrient phytic acid. While phytic acid is present in all beans, its concentrations are much greater in soybeans. Phytic acid blocks the absorption of key minerals such as magnesium, calcium, iron and zinc. Diets high in soy based products might lead to nutritional deficiencies as the body is not able to absorb these essential minerals. Arguments are often made that soy is prevalent in the Asian diet, which is typically associated with lower levels of cancer and other Western style diseases. The problem with this argument is that the traditional Asian diet relied not on the highly processed soy products we are currently consuming, but rather consisted of relatively small portions of fermented soy products such as miso, natto and tempeh. Fermentation provides beneficial probiotics and limits the effects of the antinutrients. Besides the concerning natural properties of soy one must consider the genetically modified nature of most of the soybeans grown today in the US. I previously discussed some of the concerns about GM seeds in my blog post titled “King Corn.” Because GM seeds are patented, the manufacturers do not have to make them available for testing. As a result, very little scientific study has been done to determine if there are any detrimental effects to “messing with Mother Nature.” And consider why seeds are genetically modified…they are altered so that they can withstand a particular herbicide, in most cases “Round-Up,” a herbicide produced by the creator of the GM seeds that resist it (Monsanto). 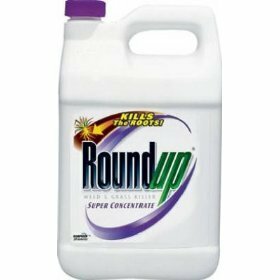 As a result, entire fields of soybeans can be sprayed with Round-Up, which will kill only the weeds…the GM seeds are modified to resist the effects of Round-Up. What this means to you and I is that the soybeans used to produce so many of the soy-based food products available to us have one of the highest concentrations of pesticides found in any food. A recent study conducted by Alexy Surov, a Russian biologist, tested the effect of Monsanto’s GM soy on hamsters over a 2 year period (3 generations of hamsters). Hamsters were divided into four groups: one was fed no soy, one was fed non-GM soy, a 3rd group was fed GM soy and a fourth was fed higher amounts of GM soy. By the third generation of hamsters, most hamsters fed GM soy lost their ability to have babies, they suffered slower growth, and high mortality rates of the pups. While Surov cautioned that more testing was necessary to determine whether it was the fact that the soy was genetically modified or the fact that there were higher herbicide residues in the food, either should be concerning to humans ingesting the same GM soy products. Like corn, soy is now produced in this country in tremendous quantities. It finds its way into all kinds of food products, including those you don’t know about…canned tuna, soups, breads, meats, fast food, commercial baked goods and more. The difficulty in looking at labels is that soy can be listed as “vegetable oil,” “textured vegetable protein,” etc. In fact, soy accounts for 80% of the vegetable oil consumed in the US. Another common soy ingredient in foods that imitate meat and dairy products is soy protein isolate (SPI). SPI is a highly processed product that contains nitrates and added artificial flavorings to mask the “beany” taste of soy. SPI was originally invented for use in cardboard…it hasn’t actually been approved as a food ingredient. In the end, you have to make your own decision about including soy in your diet. There are some that feel that soy, used in moderation, primarily in fermented versions, is fine. Unfortunately the version of soy that most Americans are consuming is a highly processed version of soy that doesn’t resemble the more healthy versions that are a staple of many Asian diets. This entry was posted in Nutrition and tagged genetically modified seeds, roundup, soy, soy formula, soy protein isolate. Bookmark the permalink. 1 Response to Soy: Health Food or Health Hazard? The problem, as I see it, is that soy is being used as a replacement for: breast milk, cheese, etc. And as with anything that is over consumed, our bodies react to it. Moderation is best: which is why those who follow the traditional East Asian diets are seen to have no negative reaction to the soy products that they use.